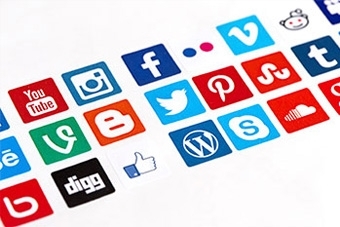 Home / Blog » What is Social Media Engagement? You have a social media plan, but are your posts engaging? Is there variety? Are they targeted to your audience? Is anyone even seeing your posts? When creating your social media posts, be sure to create and share engaging content. Make your posts relevant, relatable, interesting or funny. Developing the content of your posts can take some time, but it’s critical to engaging your followers and attracting new ones. What exactly is social media engagement? Social media engagement is a way of measuring the response from your audience. It’s essentially the number of likes, comments and shares on a Facebook post. It can also be measured as clicks, retweets on Twitter, repins on Pinterest, etc. Engaging your audience on social media is important because a post with more likes, comments and shares will increase visibility in the newsfeed. Post local events or information. Ask questions to create interaction. Everyone has an opinion! Post emotional stories and graphics (patient testimonials, before/after). Remember your audience in every post. What may be interesting to you may not necessarily interest your patients. For example, an article about knee surgery complications from a medical journal may interest you and be very relevant to your practice, but may be too technical for patients. Typically, patients are more concerned with rehabilitation and how quickly they can get back to their life, so patient testimonials may be more appropriate. How do you know if your posts are engaging? You need to take a look at your metrics. Most social media platforms will show you the detailed engagement of your posts. Take a look at your metrics periodically so you see which posts are getting the most engagement. This will help you better understand your audience and create content going forward. Check out our free Marketing Resources.